Additional Entries: £15 per artwork up to 6 artworks. Additional Entries: £8 per artwork up to 6 artworks. Successfully selected works need to be delivered to Mall Galleries, 17 Carlton House Terrace, London, SW1Y 5BD, along with a print out of your online submission form on an A4 sheet on the 27th of July. Please do not use staples or tape on this form because it must be photocopied during processing. N.B Works that are digitally pre-selected are not automatically accepted for the exhibition. Submitting digitally enables artists to submit works for initial consideration without transport and framing costs. If you do not want to submit digitally you can take or send the work on receiving days (not sculpture). This is on the 27th of July. You will need an entry schedule if you are not going through digital selection. Only use an entry schedule if you are not going through digital selection. Works delivered for selection must be exhibition ready, but with no fixings at all to the back because fixings damage other works when stacked. Details are available to you in our information and general terms on SWA website. Please do read them prior to entering. For 3D and Sculptural work, it is single stage digital submission/selection process only. Artists must go online for results to the digital selection and for final selection results. If successful you will be contacted about timings for bringing work in. 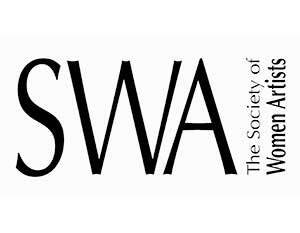 A list of successfully selected work is put up on the SWA website on the 30th July. Any work not selected must be picked up on the 1st of August. Maximum of six works submitted. Maximum of four works selected. Framing – All works must be well presented, glazed and suitably framed (no metal or clips frames are permitted). Works should be no larger than 1.82m high and 1.5m wide including the frame. All work must be for sale. Minimum price: £350. £150 for framed etchings, one-off prints, lithography or drawings. The Selection Committee is formed of artist members of the Society. Please note that selectors' decisions are final and we are unable to offer feedback.